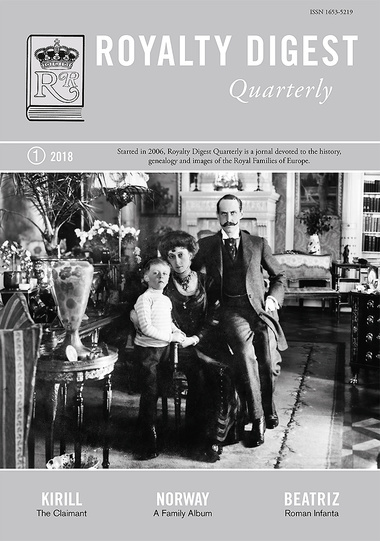 ROYALTY DIGEST Quarterly 1/2018 has two articles on the Royal House of Norway: Charlotte Zeepvat's Family Album and Trond Norén Isaksen's essay on the Viceroys of that nation. 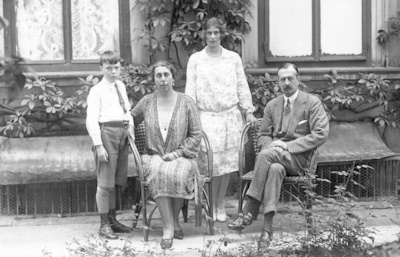 Marlene A Eilers Koenig is back with an article in Favour of Grand Duke Kirill, while Elizabth Jane Timms writes about Princess Alix of Hesse's Visit to Harrogate. Datiu Salvia y Ocaña portrays the Ifanta Beatriz, daughter of King Alfonso XIII and Queen Ena and Princess Dagmar (Jr) of Denmark is the Little-Known Royal in this issue. Finally, the series of Romanian Royal Letters is brought to its end. 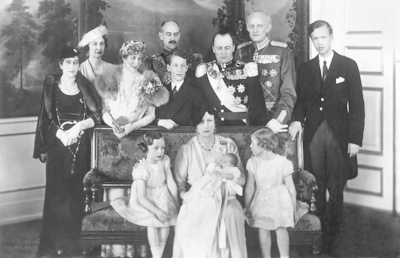 The Christening of Prince Harald of Norway in 1937. 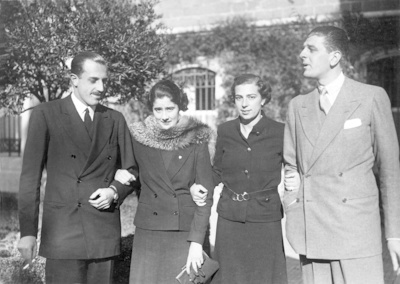 Infante Don Jaime and Infanta Beatriz with their respective spuses.